The Student Ranks: When you first walk into our school you will notice that the students all wear different colored belts representing rank. This is part of the martial arts tradition and is used to indicate the level of accomplishment and mastery of skills. As you increase your level of skill, you will move up through the ranks by changing the color of your belt to symbolize your achievement. 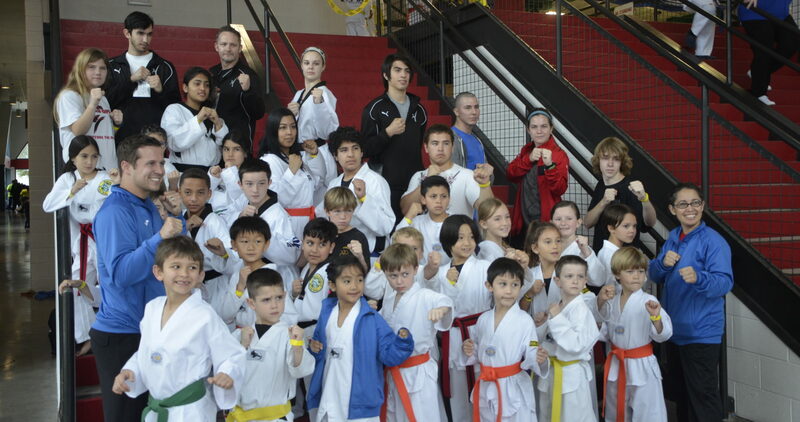 When you begin your training at National School of Martial Arts, you will be taught separately from the advanced class with personalized instruction at your own pace. You will start as a “white belt”, and when you are ready, you will be pretested and invited to your first belt rank promotion exam. After demonstrating your skill level in many of the basic moves you have learned, you will be awarded your first promotion to yellow belt. With each official rank you will also receive a certificate of promotion as an official certification of your skill. *It adds power to your strikes and kicks. *It tightens your abdominal muscles, which helps protect you from blows and falls and helps prevent protect you from having the wind knocked out of you. It helps you overcome your own fear. * It will help frighten your opponent. * It can help you overcome any pain you might be feeling. Achieving each new rank requires you to demonstrate specific techniques and skills. Your instructor will monitor your progress and will invite you to the next scheduled rank promotion date when he feels you are ready. A minimal fee is charged for each exam, to cover the cost of the examiners’ time, your new belt, testing supplies and your certificate.